She entered her first singing competition at the age of 5, and it was one of those things that would change her life forever. It was just a little over a year ago that I was first introduced to Country Music Artist Amy Rose---and even then I knew that she was something special. She is one of those individuals that what you see is definitely what you get---and her fans are responding to her in a big way. Now with 2014 in full swing she releases her new single "Country Crazy" on Amazon.com and iTunes, and as expected it is true Amy Rose through and through. I got a chance to talk with her just hours before the official release of the single, and when asked about what this musical ride has been like she told me this: "To describe it honestly it feels like such a dream. I want people to just pinch me so I can wake me up, because a lot of this seems so surreal." It is definitely real, and the awards she is winning for her talent as well as the music lovers she is entertaining is proof of that. "I am so happy that I can walk around everyday with an open mind and heart and do what I like to do, and that's sing." The new single "Country Crazy" gives you a story of a woman who can exist in all areas of the world, but at her core is a country girl just waiting to break free. That is definitely Amy. "I think a lot of people can relate to the way that I am," she told me. "That is the way I portray myself in my music." When she got into the business that was one thing she knew would never change. "I just wanted to be me and be true to myself." And it is that truth that is resonating with fans and critics alike. Get the single "Country Crazy" through your favorite online retailer. 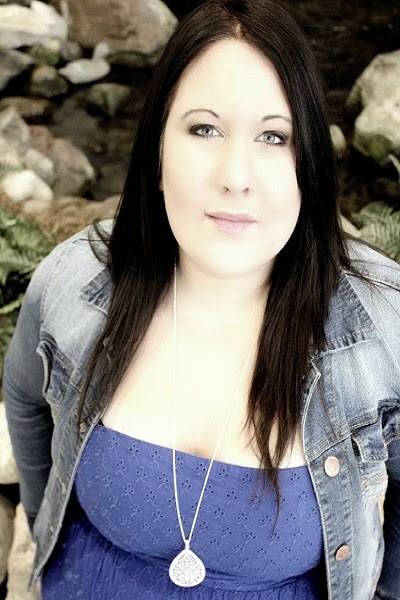 Stay in touch with all things Amy Rose at www.amyrosemusic.com. The New York Times may have said it best when it called Kenny Lattimore the "Modern Soul Man", and though it's been a decade since his last solo project not much has changed. The man who is known for sultry love songs that will stimulate your mind and give the guys something to recite to that special lady is back with new music and sharing all that he is with all of us. His single FIND A WAY delivers not only the melodic rhythms that you come to expect but a message of what it means to truly get to a woman and be who she wants her man to be. The past couple of years he has literally been around the world and back again, meeting his fans, sharing his music and his talents on stage and showing us all what it means to live life on purpose. Getting this interview with Lattimore was not only an honor for me but something that I knew lovers of music would enjoy as well as individuals looking for an example of what is possible for them in relationships and in life. In this man we see an example of both. 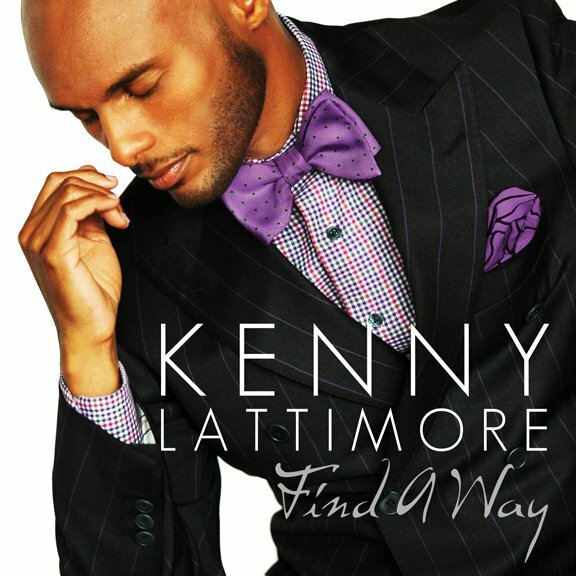 In one of the most insightful conversations I've had Kenny Lattimore takes us into the depths of who he is and strives to be and what he hopes for all of us as well. "I really feel that my musical purpose has been to speak to the hearts of women and the minds of men. It's been about my own personal journey, the way we approach communication and approach life. As I learn things and experience things I am able to put it in my music. I'm careful to give something for the ladies and not leave out my male listeners. I want the men to know that there is strength in wanting to know and understand women." "One of the most difficult things was knowing my purpose when it wasn't popular. Knowing my musical purpose was more than what was sometimes expected I had to keep rolling and stay true to myself, not allowing anyone to deter me. As I have matured I have been able to embrace it more. There's no getting around this simple fact: God calls you to a purpose." "Music is a platform of communication. I had strong ideals about love and what love should be, but I wasn't always sure how I wanted to translate that fully. I had to get comfortable. As you live you get better." "As an artist there is a certain sense of vulnerability that we have to accept. Everything you want to do is not always going to translate. Your purpose can't be to fulfill myself. It has to be to give to others. That's what I have been working on over the years." "I would have to say that my greatest passion is mentoring and giving information. As a mentor you become very protective of people. That is one of the reasons I started the KL Foundation. It includes mentoring, education and the arts. Through the platform I have I am able to talk freely about the things I am passionate about." "I appreciate you even when I have been trying to figure it out. The fans believed that whatever I did I would continue to come with a certain quality. For me it is about being able to build a legacy that is reputable and respected." "It's tough when the world is going in a particular direction and you may feel as though you are out there by yourself. The important thing is making decisions that let you know you are doing the right thing. It might not be easy. It takes the consistently to understand who you are and be strong in that. Embrace where you are suppose to go. There is a tremendous blessing in embracing your purpose." "Despise not the day of small beginnings. That is what I say to people who are trying to figure it out. God delights when we start. We sometimes think everything has to be lined up a certain way. Even when you don't understand your purpose you can discover it and walk in it." Stay in touch with Kenny Lattimore on his website www.kennylattimore.com, on Twitter at www.twitter.com/kennylattimore and on his Facebook fan page. And I would have to say that the world agrees. There are few individuals who is more quoted, adored and inspiring as Ms. Angelou. Whether you are talking about her work as an author, poet, activist or director, she has lived a life of passion and purpose and shown us by example how we can do the same. When I knew I wanted to feature Ms. Angelou in Conversations Magazine I reached out for an interview. It was a long-shot, but one I thought worthy of taking in order to spend some time with the living legend. Though my request was not granted I was able to do something just as rewarding: get a few words to share with with our readers as well as conversations with two women who know her best. Marcia Ann Gillespie and Rosa Johnson Butler were two of the co-authors of the book MAYA ANGELOU: A Glorious Celebration. I was able to speak with them not just about the book but the woman that they wrote about. 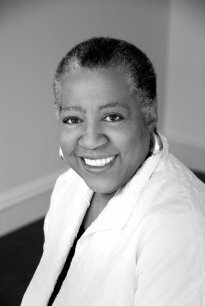 Many know Ms. Angelou’s Marcia Ann Gillespie as the former Editor in Chief of Essence Magazine from 1971 to 1980. She also was the Editor of Ms. Magazine from 1993 to 2002. 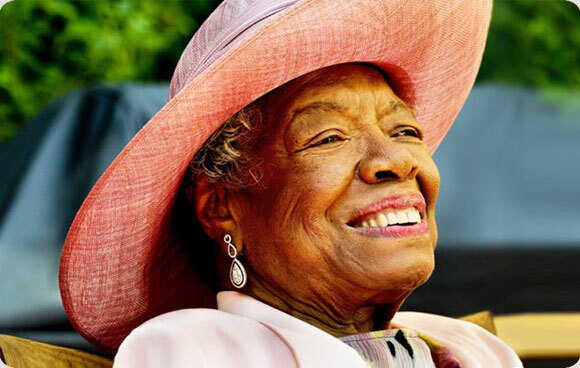 She talked about her relationship with Dr. Angelou and why the book was a labor of love. Marcia, thank you for taking out the time to talk with us. Before we get into your project involving the life of Maya Angelou, tell our readers about who you are. 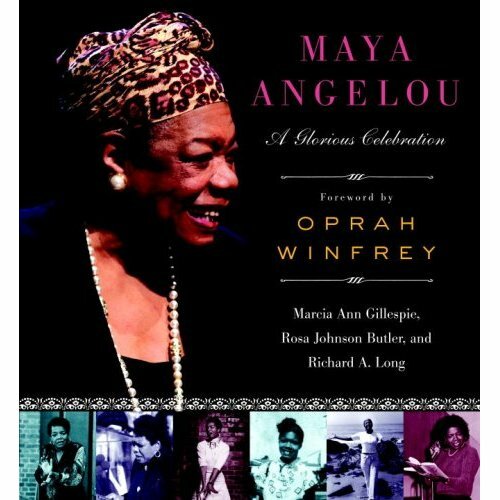 The book MAYA ANGELOU: A Glorious Celebration was co-written with Rosa Johnson Butler and Richard Long with a foreword by Oprah Winfrey. How did the entire process develop? The book was released just days before her 80th birthday, her birthday being the same day that Dr. Martin Luther King, Jr. was assassinated. What significance does the day have for you seeing that we celebrate her life and his death? Recording artist Foley of D'Life Entertainment is one of those individuals on a mission. He is using each and every day on this earth to make his mark, and the hard work is definitely paying off. He's respected as an artist and a true promoter of his craft, and there's no sign of him slowing down any time soon. I had the opportunity of interviewing him on his birthday this year about his journey, and during that conversation he shared some insight into what motivates him and why quitting is never an option. "Sometimes I kind of get caught up in the moment of what's going on, but it makes me feel as though there's a lot more to get done. When people are feeling the music you get a certain type of vibe. You just want to keep going. I am happy to reach the accomplishments I have but I keep pushing to do more." "Getting that feedback is so important. The internet opens the doorway to a world that the music can take me into. I have had artists call me from Africa and done interviews in England. as well as gotten music on soundtracks, all thanks to being online. The internet changed the game and is only getting stronger daily." "When people hear my name I want them to think fun. 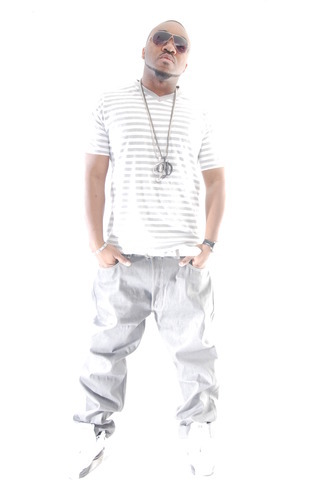 I think when I first got in the (music) game I was doing singing so I was talking from the heart. Experiences changed me. We are going through some troubling times right now, but you want to remind people that life is worth living. I've been there. I've been through those troubling times when I didn't want to be here. Through music I have changed it over to being more fun. Not only do I want people to dance, but I want them to want to live. I want to be that reminder to them that tomorrow can be a better day." Foley told me during our conversation that it's his family that helps him to keep himself and his career in perspective. Keeping the examples of individuals that allowed their egos to lead them as a warning he told me that everyday he strives to treat people the way he wants to be treated. Because of this he is not only like by fans but respected by other artists as well. "That's definitely motivational," he says. "I feel honored by that." Through the dark chapter of his life Foley was able to find a reason to move on. His hope for all of you is that you realize your own worth and know that regardless of what you are going through life is worth living. 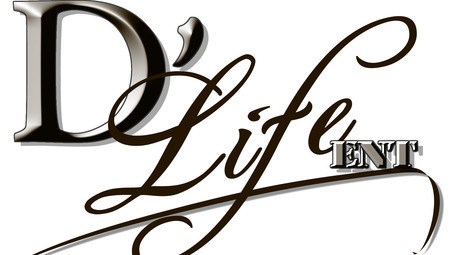 For all things dealing with Foley and his company D'Life Entertainment visit http://www.dlifeentertainment.com and follow him on Twitter at www.twitter.com/foleydlife.